Bike Week is an annual opportunity to promote cycling, and show how cycling can easily be part of everyday life by encouraging ‘everyday cycling for everyone’. This year’s Bike Week will be staged 9-17 June 2018, although Bike Week events are organized outside of these dates, too. Bike Week was started in 1923 by the Cyclists’ Touring Club (now known as Cycling UK). Demonstrating the social, health and environmental benefits of cycling, the week aims to get people to give cycling a go all over the UK, whether this be for fun, as a means of getting around to the local shops, school, the library, or just to visit friends. Oxford Bike Week encourages people from all walks of life to get on their bike and start cycling. A week of free, bike related events from 9-17 June 2018, events range from workshops on how to fix that broken bike in your garage, to a full on overnight dash to Dorset. The week starts with the Big Green Day out on Broad Street from 10am on Saturday 9 June. Try different bikes or explore cycle related art. If you want to get your bike set up for the week (or the summer?) On Sunday 10 June is the Cowley Road Condor’s Newbies ride – hugely popular last year – for your first friendly foray into group riding. Back by popular demand are the Quarry-Roubaix ride on Monday 11 June and the Cyclox Traffic light free ride on Friday 15 June, the latter being a circumnavigation of oxford with no traffic lights. For those of you with an interest in art, you are spoilt with the Isis Cyclists women-only stop and stare ride “A Turner round Oxford” on Tuesday 12 June and our Oxford Sculpture Ride on Wednesday 13 June. 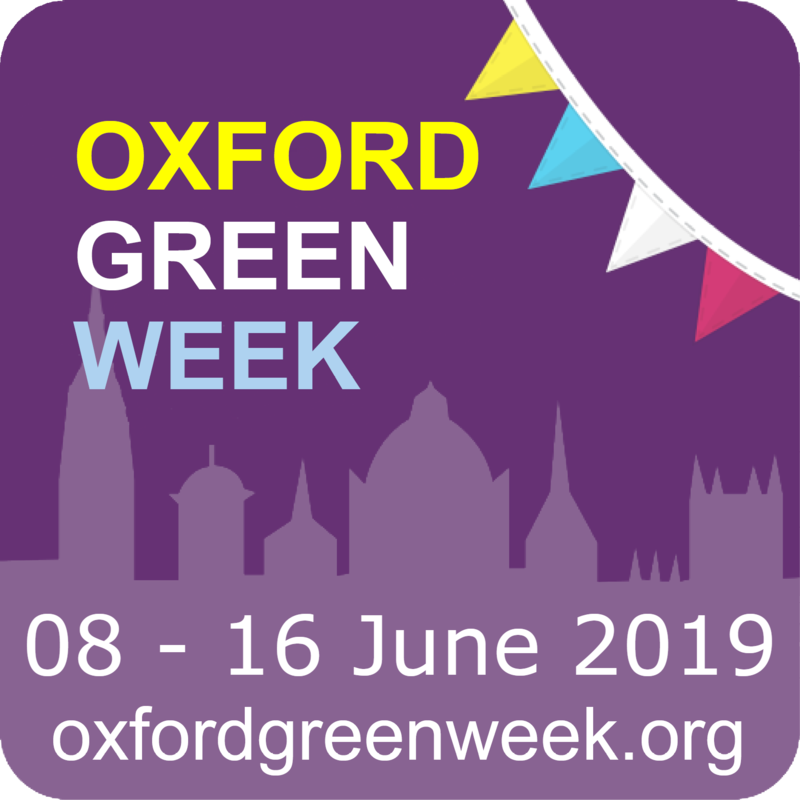 A key theme this year is science and the environment with rides to solar farms, wind farms and a hydro-electric plant with the end of Oxford Bike Week marked by the first ever Rose Hill Cycling Festival at Rose Hill Community Centre on Sunday 17 June. Finally, squeezing outside of bike week but returning for the seventh year running is our Solstice dawn ride to Boar’s Hill on 21 June. See our events page for more details on these and many other events. 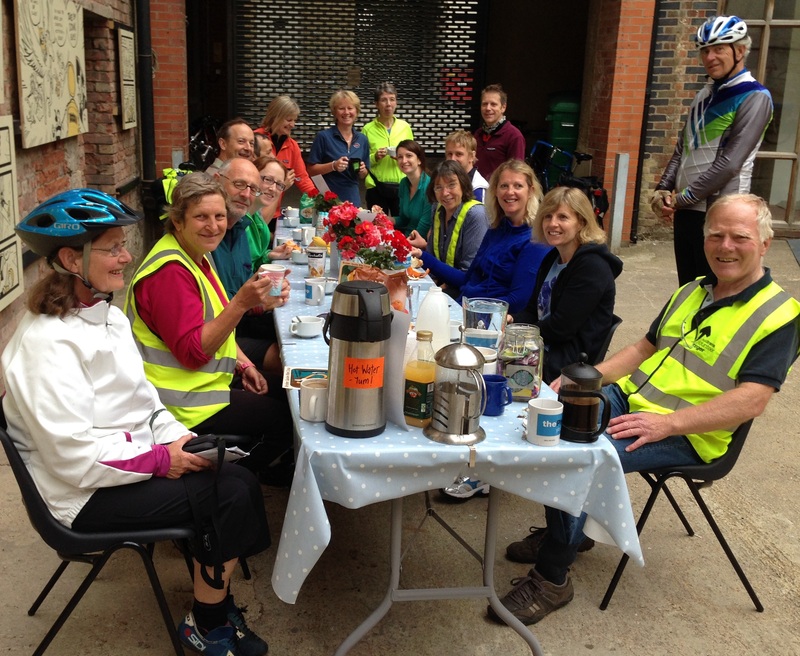 Oxford Bike Week is run by a group of volunteers from across Oxford’s cycling organisations, including Sustrans, Cyclox, Broken Spoke, Cowley Road Condors, Isis Cyclists, and Cycling UK. The UK’s biggest mass-participation cycling event is set to kick start a summer of cycling this June for over half a million people. Bike Week 2016 (11 – 19 June) aims to substantially boost the numbers of people cycling to work which currently stands at around 800,000. From buddy rides to bike breakfasts, Bike Week brings together a host of simple ideas to help make cycle commuting an accessible and attractive proposition to the many people who might just need a gentle nudge in the right direction. Whether it’s for fun, as a means of getting to work or school, to get to the shops or to visit friends, Bike Week provides a one stop shop of events and inspiration to get you onto the saddle. With cycling becoming more popular than ever, increasing numbers of people are taking up cycling as an easy and efficient way to travel. According to the National Travel Survey, over five million people cycle three or more times a week. Jonathan Sharpe, Cycling UK’s Bike Week Coordinator, said “As nearly half of the UK’s working population live within five miles of work, cycling can really easily become a part of your daily commute and Bike Week is the best opportunity to start. “Cycling often doesn’t feel like you are commuting – with the chance to ride through quieter streets, alongside canals, and on off road routes, you get a greater sense of freedom and progress than you do stuck in a traffic jam or on a bus or train”. “The NSPCC is really pleased to be a part of such a packed schedule of fun everyday cycling events this summer. We would love people to think about how much money they will save by making the switch to cycling and think about making a donation from those savings”. Bike Week will feature weekend family rides to help inspire new commuters and get them feeling comfortable with the prospect of cycling to work. There will be Dr Bike maintenance events, bike breakfasts to reward those cycling to work and ‘cycling buddies’ to help people find routes to work and provide encouragement. To support those already cycling or new to riding a bike, Bike Week is also partnering with Love to Ride so you can log your trips, set goals and win amazing prizes. Sam Robinson, General Manager at Love to Ride said “Bike Week is a fantastic way to get cycling back into your daily life and our Bike Week Challenge, website and GPS app gives you even more incentive to take part, with stacks of great prizes up for grabs.” Register today to join the Love to Ride community.